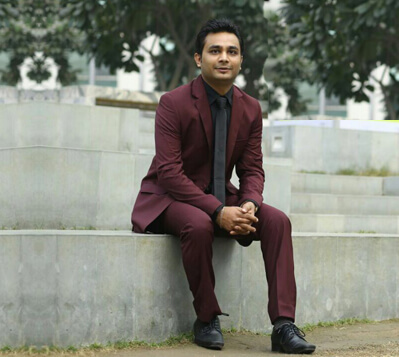 Naval Goel is the founder of PolicyX.com which was established in the year 2013. Naval has an expertise in the insurance sector and has a professional experience of more than 5 years in the industry. Before venturing into the field of entrepreneurship, Naval had worked with top companies like AIG in New York as a part of their corporate team. He is also an Associate Member of the 'Indian Institute of Insurance', Pune. Naval had set up the company in 2013 and within a short span of little over 3 years, the company has managed to establish itself in the online insurance sector as the number two player with more than 0.6 million page visits per month. Starting with just 3 employees in 2013, the company currently has around 170 employees with a corporate office in Gurgaon which also has the in-house call center. Naval is an MBA from IIFT, Delhi. He is also a Chartered Financial Analyst from CFAI, the US and an FRM Certified professional from Global Association of Risk Professionals, US. Prior to this, he completed his BE from VTU, Bangalore. Naval has also been recognized as an 'Emerging Entrepreneur' by the Economic Times at their Entrepreneurship Summit held in 2015 in Delhi. Naval is an ardent tennis lover and likes to have a game with his friends whenever he gets time to do so. Apart from that, he is fond of reading and investing in stock markets. Naval Goel(CEO& Founder of PolicyX.com) in discussion with Money Guru- Zee Business about the importance of Home insurance in India. Why insurance plan is important in today's era? Why an Entrepreneur Needs an Elevator Pitch? OPINION: How can you carry your car insurance while relocating? Startup or Corporate- Which one is better? Is your home loan insurance really free with the loan? Health insurance cover: Restore option or higher sum assured? Why is it beneficial to buy Term Insurance online? How to claim the compensation for lost, delayed or damaged luggage? ? Home insurance: Why you need to get your house insured today? What Entrepreneurship Can Teach You About Life? Why Indians invest less in General Insurance? Is it better to have a life insurance cover rather than going for �self-insurance�? OPINION: What is car insurance portability? How to get the best term insurance plan? Mutual Funds vs ULIPs: Which is a better investment option now? How to calculate returns from insurance? IRDA�s revised motor insurance premium rates from April 1: What it would mean for you? Opinion: How to transfer your car insurance? Want life insurance? Check this out! Can delayed health insurance claims be settled by insurer? Why you must not ignore insurance? Should Coverage Criteria For Pre Existing Diseases Be Reviewed? Should Employee Health Insurance be Made Mandatory? How to avoid insurance fraud? Is the Indian Middle Class Adequately covered by Health Insurance? Is capital protection in Ulip good enough? Why One Should Buy Life Insurance In Their Twenties? What is a CIBIL score and why it's important? How to lower your life insurance premiums? The biggest flash sale in life insurance happens when you are in your 20s!